Surprise! This is not about the challenges OF homeschooling. This is about academic and physical fitness challenges for homeschoolers to participate in. You don't have to belong to a homeschool group to do any of them and your child can achieve recognition, awards, and scholarships. Not to mention that it looks great on a transcript. If you went to public or private school in the United States, I'm sure you remember doing the President's Fitness Challenge. Sit-ups. Pull-ups. Sit and reach. One mile run. Ring any bells? As homeschoolers, your children, between the ages of 6 and 17, can participate too. You can click here or download the free educators' booklet to see what the requirements are. Your homeschool can go it alone or if you want to try for state recognition, organize other families from your homeschool group (at least 50). Feeling left out, Mom or Dad? You can participate right along with your children with the Presidential Active Lifestyle Award. You have to buy your own award certificates and patches, of course, but they are very inexpensive (starting at less than a dollar). My older boys are participating this semester with my husband leading them. They have a distinct advantage because Papa Bear used to be a drill sergeant. P.E. credit, check! 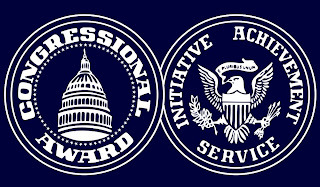 The Congressional Award is a personally challenging, non-competitive program for 14-23 year olds. It involves four areas: Volunteer Public Service, Personal Development, Physical Fitness, and Expedition/Exploration. Your student sets his/her own goals, works at their own pace, can build on their own achievements along the way, and have the opportunity for scholarships. Your child would work with a mentor of your choosing (you or a trusted friend) to help keep them accountable and motivated. This looks like an awesome opportunity for a young person who loves to be challenged and is willing to take initiative. P.E. credit, check! Community Service, check! Creatively Named Elective, check! Looking for a contest in a specific academic area? Looking for scholarships? Homeschool Buyers Coop has a free up-to-date list of contests and scholarships available to students. Wait until you have a chunk of time to sit and go through them. It's a long list. 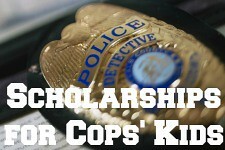 Leave no stone unturned by checking out these unusual scholarships. Homeschooling presents its own challenges, but being excluded from exciting and rewarding opportunities isn't one of them. Sometimes, you just have to put more effort into finding them. Thank you for the reminder about the President's Fitness Challenge, I had signed my kids up a couple of years ago and just did not stay on top of it. I will have to check in to it again. Thanks for joining in the Hip Homeschool Hop! Just wanted to say hi from hip homeschool hop. Great blog!! I'll have to check out the scholarship link. when I have a few free hours. I think an afternoon at Panera with a Caramel Latte would be a perfect setting. My oldest boy has 1 year left of High School. so It's time to look into that stuff, I guess. I need to check out that scholarship link, too. Thanks for sharing! Thanks for stopping by my blog the other day, too. Paper calendars are just fine & dandy - the most important thing is to use them regularly. I remember doing that as a kid. What a great idea - I've just been thinking about different things that we can do for PE that don't cost a ton of money.